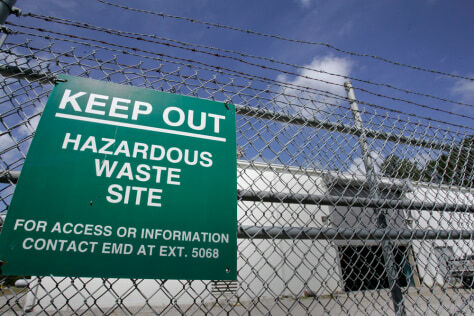 The four chemicals being reviewed include trichloroethylene, a plume of which was found under the Camp Lejeune, N.C. The Marine base has since set up this treatment center. The chemical was used for degreasing metals and the plume came from a waste disposal site on base. Contamination of drinking wells years ago at the base has since led to health concerns.